A brilliant example of an arcade game, where the main task is to win all of the monsters. ! 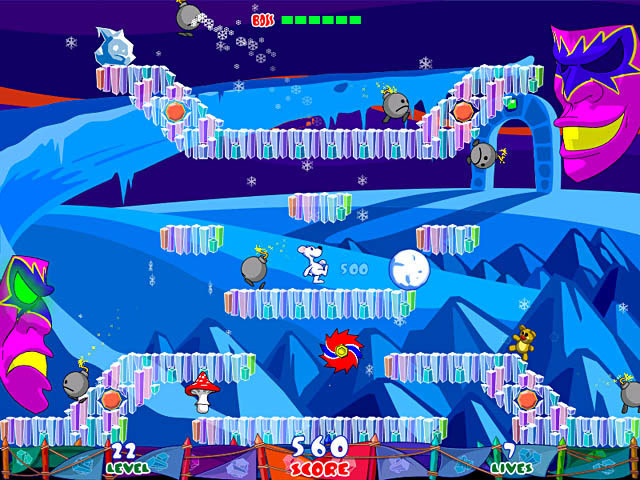 Snowy is yet another brilliant example of an arcade game, where the main task is to win all of the monsters. Practically no violence included, however. Your character is a cute white bear, the environment is soothing and even the monsters themselves are funny! You will be simply playing snowballs. Do you miss winter games much? Then this is perfect for you.Snowy has 4 original worlds. 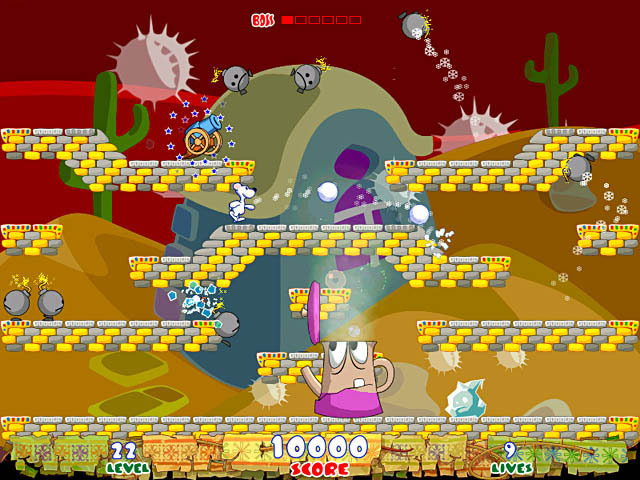 Each world has unique graphics, monsters and bosses on the last level. Just don't relax too much. 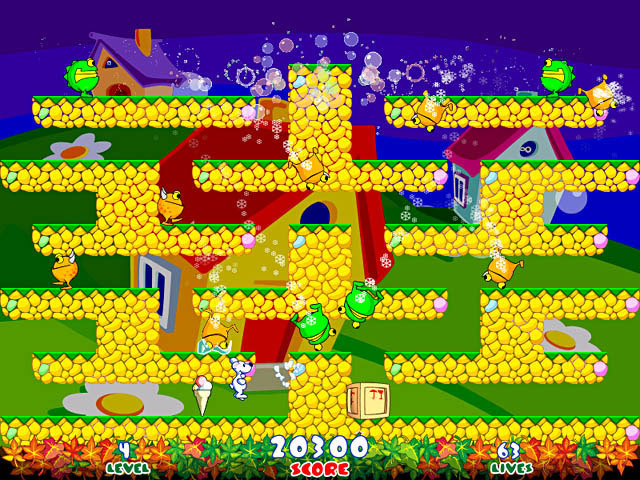 88 levels of non-stop fun! Cartoon-style graphics and smooth animation. Dangerous Bosses, guarding every Game World. Combos and many different ways to score, keeps a good replay value! Hyperballoid - It is an extremely addictive game based on the classic Arkanoid but completely overhauled to make it more modern. SILENT ATTACK - The Near Danger Zone - In the distant future, humanity finally learns from its mistakes. PacLands - Classic packman-style game grows up! PacQuest 3D - Now with weapons and spells! Kill monsters by magic Fire Ball, Power Shield and Trap Mine. Swipe - An addictive arcade game. Think smart - act fast ! Star Defender - Vertical scrolling space shooter Star War PC Game. Advanced clone of Space Invaders! Gold Sprinter - Lode Rinner game remake: run around a level gathering gold and eluding monsters. Gold Miner Joe - Pls Help Gold Miner Joe explore the legendary four-shafted gold mine in this cartoon-style jump n run game !